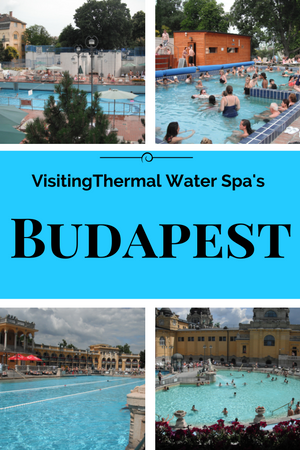 When you visit Budapest you just have to go to at least one of the world famous thermal bath spas. 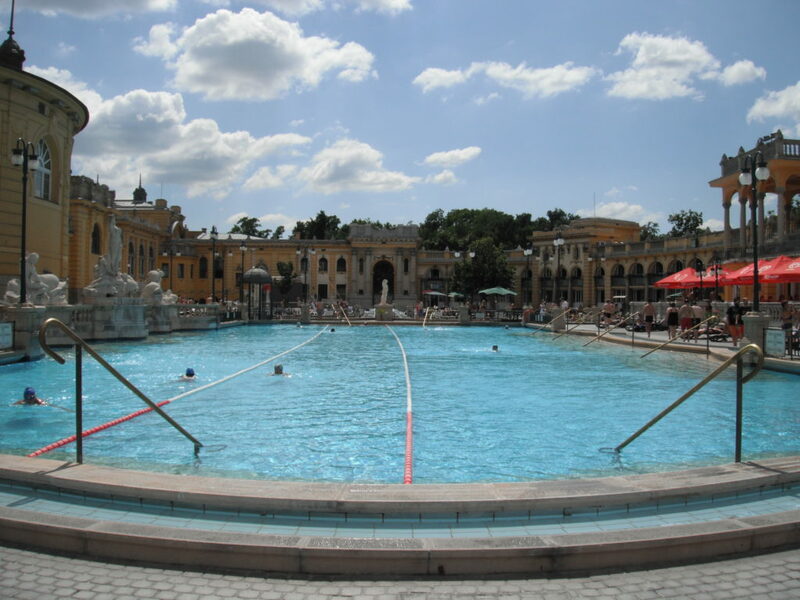 Budapest sits on limestone geology that has produced numerous thermal springs. 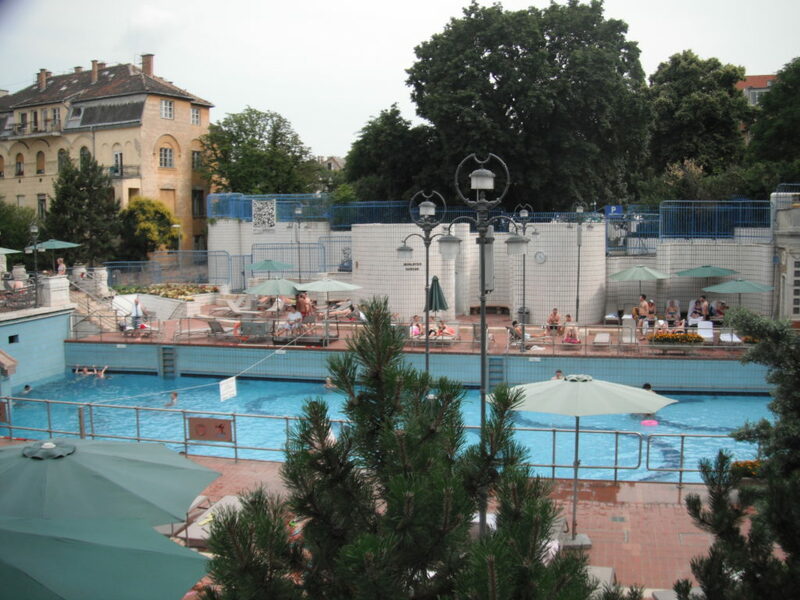 Because of this Budapest has had thermal spring baths since roman times. 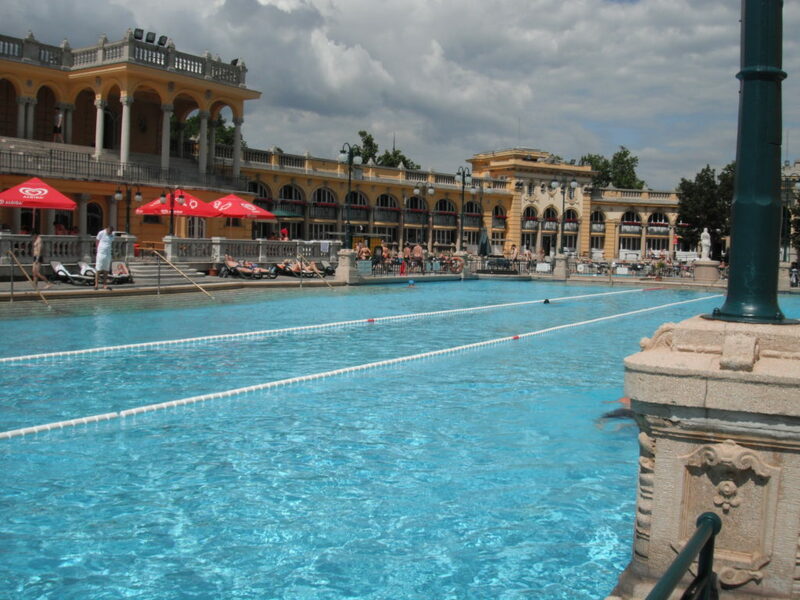 During my stay in Budapest, I was lucky enough to visit two of the spa baths Széchenyi and Gellért. Originally opened in 1913, the buildings were constructed in the Neo-Renaissance style. During communist rule, the baths fell into disrepair. The baths have undergone substantial restorations, since the fall of communism. The outside of the buildings are finished in a gorgeous brown yellow colour. Outside are three pools, a large central pool for proper swimming (note you need to have hair covering). Two thermal pools for taking in the waters. There are even stone chess tables so you can sit in the water and play chess. 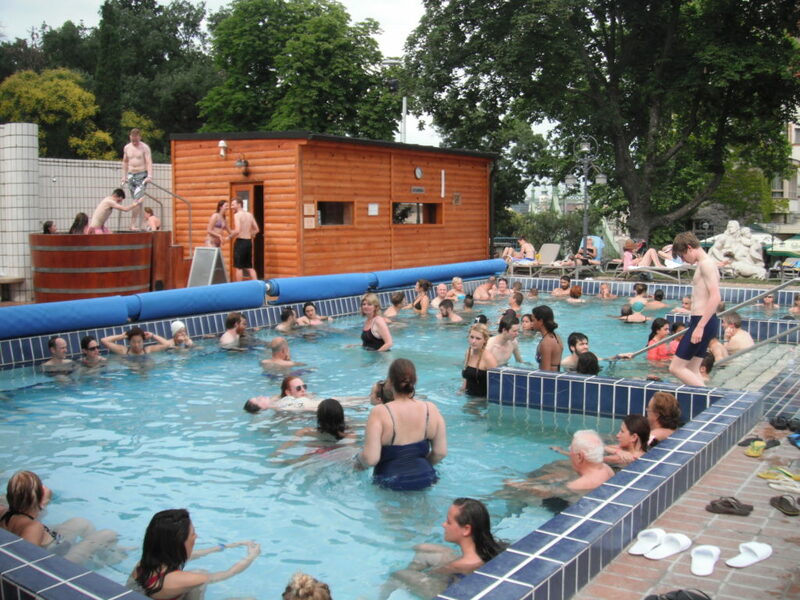 One of the smaller pools has a whirlpool in the centre of it. I didn’t use this but my friend did during a subsequent visit. She said it was great fun, but she needed help to get out the vortex in the end, as the whirlpool was quite strong and she is only tiny. Inside are numerous other plunge pools and baths of varying temperatures. You can book massages and other beauty treatments. But I hate that sort of thing, worth considering if it’s something you would enjoy. The temperatures of the water are between 74C and 77C. I actually found the water a bit too hot, and stayed in the pool too long and this made my feel slightly queasy. There are safety warnings about staying in the water for too long. One thing you notice when you go into the changing areas with the cabins is that there are enormous central heating pipes and radiators. These are also heated by the thermal springs. This means the baths stay open all year round. I would just love to visit when it is snowing. How fantastic to sit in a thermal bath while the outdoor temperatures are below freezing. 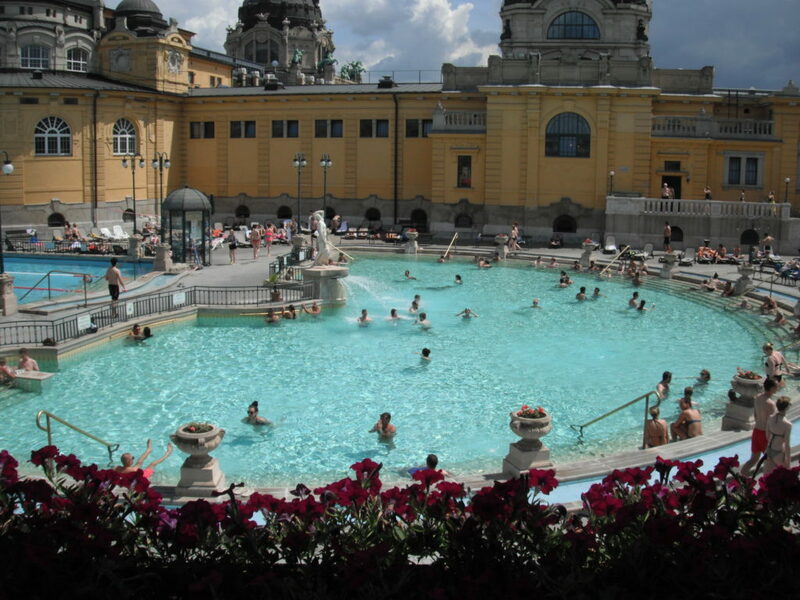 If you plan on visiting Széchenyi Baths I would recommend booking the ticket from your hotel reception. This means you get to fast track into the baths and by-pass any queues. 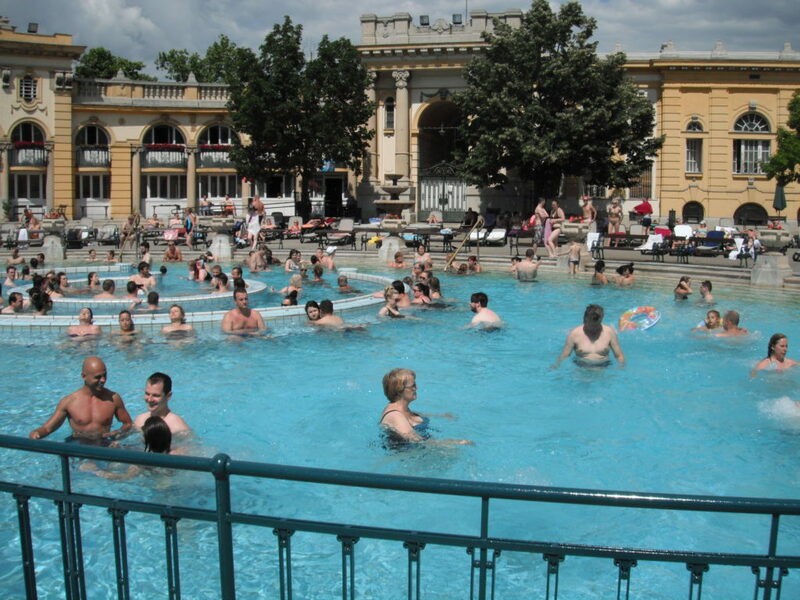 Széchenyi baths are very popular and apparently at times the queues are quite lengthy. We also booked a cabin each. To use this you are given a wristband that electronically opens your cabin. This means it is safe to leave all your clothes and valuables, in the cabin. I paid 5200ft for entrance with the cabin. Well worth this as you could easily spend a whole day there. You would pay more if you wanted a spa treatment like a massage. There is a nice Cafeteria area on the site with indoor and outdoor seating. Also, there are a number of kiosks selling drinks and ice creams. It was interesting to read that the “used” thermal waters from the Széchenyi Baths are used to heat a major part of nearby Budapest zoo. Apparently, the hippopotamus enjoy swimming in the warm thermal waters! The Gellért baths were built in 1918 so around the same time as the Széchenyi Baths it does, however, look completely different. It seems to have that 1930’s look that I’m reliably informed is called Art Nouveau. Inside is a beautiful pool that has a retractable glass roof. To use this pool you need to have your hair covered. If you look at the picture below you will see that the outdoor pool has steep sides with the water level quite a bit lower down than you would think it needs to be. That’s because this is the wave pool. The wave pool was installed 1934 clearly in the days before health and safety legislation! When the wave machine starts you are given plenty of warning and enough time to leave the pool if you are nervous. The waves are enormous, my friend actually got swept away onto the tiled steps at the bottom of the pool. Luckily she is tough and soon we were both jumping up and down and going Wheeeeee in the waves. Great fun! Funnily enough, my friend visited the Spa a few weeks later and she got swept away by the waves again…. There is a hut with a sauna, and outside a wooden plunge pool that is kept quite cold. Spa treatments like massages and the like are available. On one of the upper terraces is a large restaurant, we had a delicious lunch there. Also on site is a self-service cafeteria.